I hope everyone is enjoying the lead up to Christmas. I have been flat out and am now just getting a moment to breathe. Looking forward to spending time with family and friends over the holiday period. Good food and company, nothing quite beats that. I've never been a big fan of christmas cake or pudding. I often find that they are quite overwhelming and heavy. 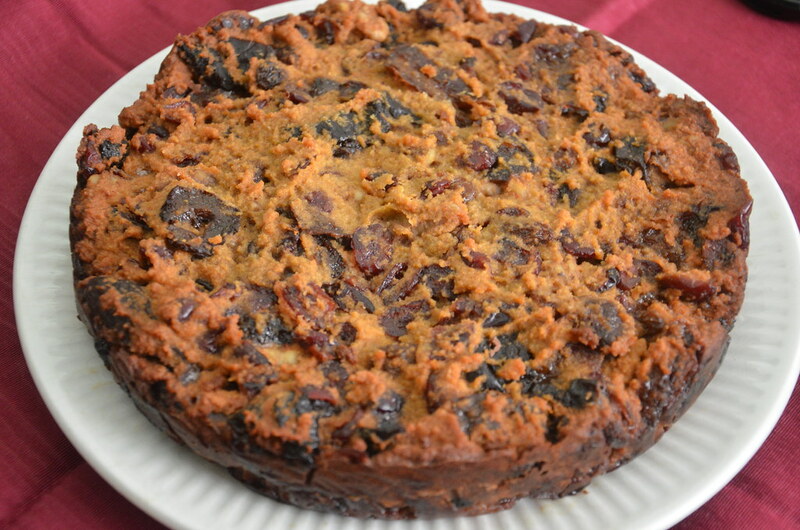 However, Teresa Cutler comes to the rescue with a great healthy version of a christmas cake. It is perfect served in a small portion with thick plain natural yoghurt or a light custard. See below for a great little recipe for a light custard. 1. Preheat your oven to 150 degrees. 2. Line a 20cm round cake tin with baking paper on the base and the sides. 3. Combine the dried fruit, orange juice and zest, vanilla, spice, olive oil and eggs. 4. You will then need to add the walnuts and almonds. Mix these ingredients through. 5. Place the butter into the tin and bake for about 1 hour and 30 minutes. Use a skewer to check if it comes clean. If not, continue baking. The top may over brown so to avoid it cover it with baking paper. 6. Cool the cake first prior to removing it. You can store the cake in an airtight container in the fridge for up to one month. 1. In a saucepan heat the milk with vanilla and honey. Just before it reaches boiling point remove the saucepan from the heat. 2. Beat the eggs and cornflour in mixing bowl until they are combined. Pour the hot milk over the eggs and whisk well. 3. Pour the egg mixture back into the saucepan and cook over a gentle heat. Stir with a wooden spoon until it thickens and coats the back of the spoon. 4. Quickly remove it off the heat and pour back into the mixing bowl. Whisk well to cool a little and smooth it out and ensure there are no lumps. You can also pour it through a sieve to ensure there is no lumps. 5. Can be served hot or cold.